Run-Flat tyres are suitable for emergency situations. This type of tyre allows safe driving in the event of significant air loss. Regardless of the run-flat model you select, in the case of a deflated tyre, you can still go up to 100 km at no more than 50 mph (80 km/h). This way, drivers can go to a garage instead of waiting for the roadside assistance. Generally, you should check the manufacturer’s specifications to find out how far you can drive on your flat tyres, and the pressure they can withstand. There are two distinct types of run flat tyre systems: the support ring system and the self-supporting system. Support ring systems feature a ring made of hard rubber or a similar structure that would support the car’s weight in the event of air loss. Moving on to the self-supporting system, these tyres have special sidewalls that allow them to run in case of a puncture. It provides support for a limited timeframe, as noted before. One should also check the speed specifications noted by the manufacturer, as these can vary as well. Additionally, these sidewalls prevent tyre attrition and their explosion. Another feature of the unique sidewalls is that they have a role in the connection between the power steering and the brakes. Run-flat tyres are mounted on special rims in order to make sure that the tyres will not detach from the rims. In the case of potential damage to the run-flat tyres (for example a puncture), the driver will be informed through a special display. This display uses an optical signal to indicate tyre damage. By using run-flat tyres, the spare wheel is no longer required. The fuel consumption is reduced as a run-flat tyre does not weigh as much as a normal tyre. Get your own set of high-quality, fitted run-flat tyres, in the right size. 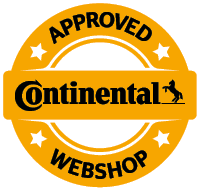 Check our wide directory of tyres from top brands such as Michelin, Pirelli, and many others. Visit mytyres.co.uk now!